Track calls made to and from your mobile and WhatsApp incoming messages on the target device along with the location where you received or sent/made the Call or SMS using this app. 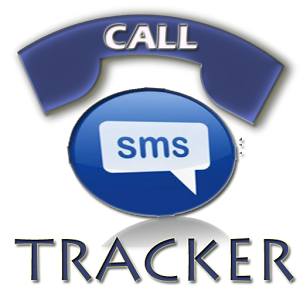 Use Call and Message Tracker app to keep track of the calls and sms in your mobile. Track all the calls made or received and also all the SMS sent or received along with their locations. To check the Calls and SMS, you have to launch the app and click on “View” buttons. No need to turn on the GPS. This application works even without GPS. When GPS is disabled, the application collects location info using GPRS/Wi-Fi and hence the impact on battery is minimal. – Enable the check box to enable tracking of Calls and SMS on your device. To collect location info select the check box below it as well. – Now whenever a call is made or received or WhatsApp Message is received, wait for a while and then launch the app again. – Click on “View” buttons in the app and you will see the tracks of the last Call or SMS (locations visited) on Google Map view and list view. – You can see your mobile tracks by visiting our website http://callsmstracker.com/cst and entering your Email ID and PIN. You need to click on “Get Details” button to pull details from your mobile. Call and SMS details will not be pushed to server automatically. To be in compliance with Google Policy, we will be showing notification in top bar whenever your Call/SMS/location is uploaded to website. Details will not be uploaded automatically it will be pulled only when user logs in to the website and request for pull. Details are stored securely in server located in US. Users can optout anytime and clear the details from server either through mobile or from website. The app cannot be used as spy app as app icon cannot be hidden and notification cannot be disabled. Please read EULA carefully before accepting. If you find any issues or the app doesn’t meet your expectations, do mail us at srihari@trackMyPhones.com. We will try to address your grievances. Thank you! how do you hide the icon on the phone menu? Download the “hide icon” version from download section. And once installed, enable hide icon from settings. Hi, there is no a “hide icon” version in the download section, where can I find that version? Unfortunately, Hide Icon is against Google Play Policies so we do not have that option. Hi Wendy, no there is no such website, else everybody would be tracking everybody else. It would be anarchy and people would have stopped using chat messengers. how do I do if i want to hear all the conversation. Esp. calls. Up 2 now its only call logs and sms conversation. Want to see all text masge from my boy friend. Cause I think He cheating me. Hello Do not bother with the service involved in mobile software. The question was: Do you via Appellation (http: // http://www.callsmstracker. Com //) can read text messages to other mobile phones, and we listen to incoming calls? I want my phone to remote control it. How can you help me? Fine thanks for support and help me. please tell me how to get tracking call & sms system active..? Hi Patricia, Can i know from where you have downloaded the app, Our apps are free and we don’t even have a payment gateway for you to pay. Looks like you have downloaded some other app. You need to have the app installed on the phone you want to track, you cannot monitor SMS/Call without any app on the remote device. I have some important person wanna locate in her recent location. I just wanted to try to use this apps if it is work in an appropriate on time. Is it possible to get details using this tracker even if the phone’s gps is off and not online? No, to get location GPS should be on and to pull the details online the device needs to have active internet. Hi! id like to know how to reactivate the app. I had it already working even hid the app icon but my partner found out about it and uninstall it. I was thinking how to reactivate it since the initial app was all set i can still access the accnt however it’s not updting anymore. Need help on this pls…tia. Hi, Once uninstalled from device it cant be activated remotely. Call And SMS Tracker app cannot be used as spy app as it shows notification everytime. Yes. If you want to track the other phone then you need to install the app on that device. Its free. There is no charge for this service. Hey so far so good. My question how ever is this….if I was to look at and or call logs on the on line way to….if I erased any of the SMS or calls by acciden….is there a way to retrieve them. Hi Ami, if records are deleted there are no ways to recover them as they will be deleted permanently and we don’t store backups. Yes. But the app needs to be installed on your husband’s phone. Very nice app thanks… Do u I have to install the app to the target mobile,? I mean is it must to install the app to the target mobile or is there any other way… Pls inform…. Yes. App has to be installed on target phone. awesome app, going to download it and try it. I can’t seem to get the call and sms details dies it work on post- paid sim cards? It should work on postpaid as well. If app has to be installed on partners phone before it could work,then it’s useless. It’s more like pre informing them. It’s has to work with out being on the other phone , especially tracking where he is calling you from. Hi, Although its a nice idea but its not possible in android. Definitely not in apps that are in Google Play Store. Awesome app you try this app.